It is no secret that there are increasing numbers of Catholics in the US who rarely attend Mass, if at all. For anyone who genuinely believes in the truth of the Eucharist, this is a grievous development and one that merits our every effort to share the richness of that gift with our brothers and sisters. I wonder if this phenomenon of the “fallen away” is actually related to this very question of whether we embrace the truth of the Eucharist. All too often even those who attend Mass do not believe with the Church in the richness of this supreme gift of the Lord. There is certainly room for all of us to renew our gratitude and our embrace of the gift of the Eucharist. This celebration of the Lord’s Supper, along with the Paschal mystery of the entire Triduum offers us the opportunity to reflect on “the source and summit” of the Christian life. The readings and prayers for this feast bring together a rich blend of material for reflection – Passover imagery, Eucharistic language and devotion, and the call to live a life in service to others. In the first reading, we hear from Exodus about the establishment of the Passover feast. That moment in Israel’s life reveals the providential care of God Who delivers His people from slavery and from the power of death. It reminds us of the testing of Abraham when God substituted the ram for the sacrifice and delivered Issac from the slaughter. It displays a God Who gathers His people and feeds them. They offer to the Lord that which they have received, but it is not burned up in the fire – it goes to nourish His people for their journey. Given that the events of Jesus’ Passion are entwined with the celebration of the Passover in Jerusalem, it is no surprise that the early Christians saw the relationship between the Passion and that great delivery from evil. All of the Gospels unveil the Passover significance of the Passion, but none more so that the Gospel of John which closely associates Jesus with the lamb of sacrifice. In the feast that is the Eucharist, the Lord has made Himself the offering. Like the lamb, He appeared to His tormentors as One vulnerable and powerless. 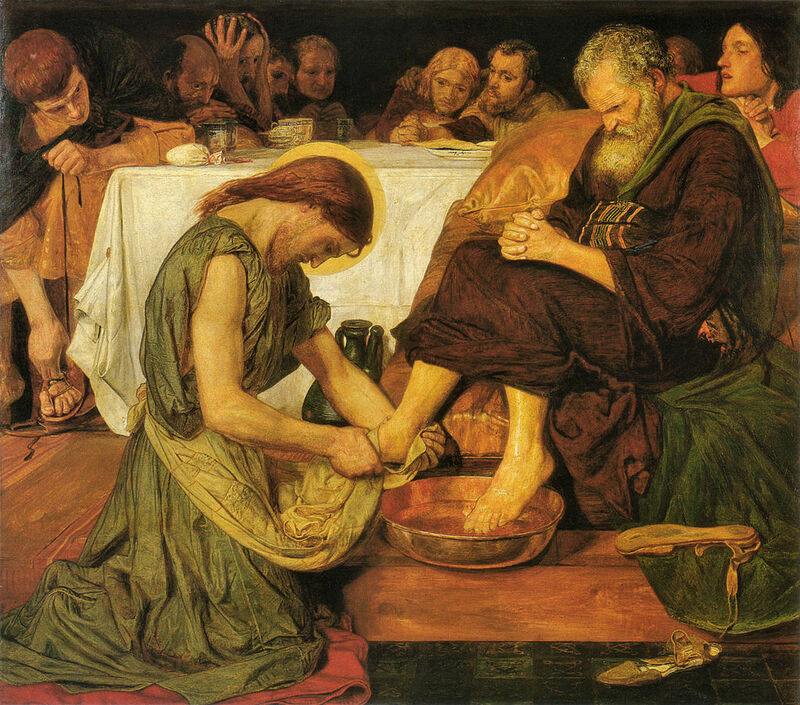 And like the Suffering Servant of Isaiah, He does not wield earthly power – He does not match violence for violence nor demand vengeance for the injustice of His death – “a bruised reed he does not break.” Even if His opponents are oblivious, this Lamb is in fact the greatest power – the power to restore and sustain life. Jesus reveals the path out of slavery to sin and death - and that path is one of trusting love and self-gift. He is the sustenance for the people even as He offers Himself to the Father. And as Psalm 116 acclaims, this offer is precious in the eyes of the Lord – it is the only offering that matches the outpouring of the Father’s love. In Paul’s letters, there are only a few direct references to the celebration of the Eucharist. Remember these are letters to communities that have already been evangelized and for whom the Eucharist is already an ordinary part of their worship. Paul speaks little, because there are only a few occasions that require him to mention that which is familiar to them all. Here in First Corinthians, he must speak of the Eucharist because the Corinthian Christians appear to have introduced divisions into their worship. In these verses, Paul recounts the already familiar Christian tradition of the night when the Lord Jesus gave the give of the Eucharist to His disciples and to His Church. This passage is one of the few places where the phrase “the new testament” appears. 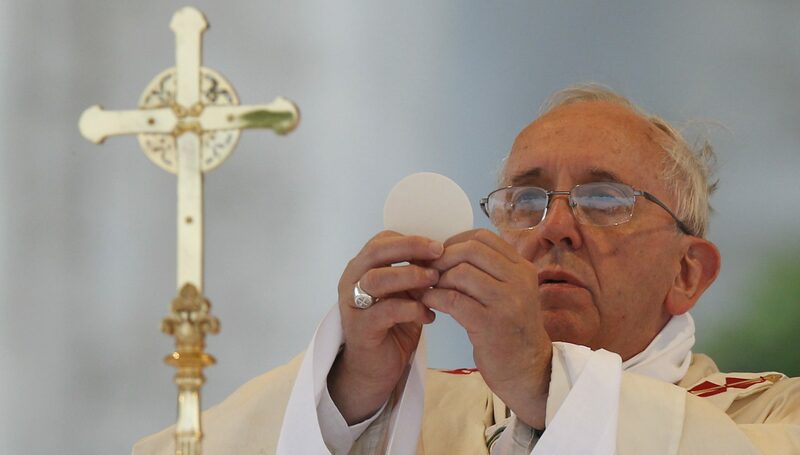 Wherever that phrase is used in the New Testament – it refers to the Eucharist. Think about that – the very title of the New Testament is taken from this most basic facet of discipleship - communion with the Lord in His self-offering to the Father. The passage from John comes from the “Last Supper” as it is recounted in that Gospel. Unlike Mark, Matthew, and Luke, John does not recount the institution of the Eucharist. John’s Gospel is nonetheless filled with Eucharistic imagery – the most obvious being the language of the Bread of Life Discourse. Here at the supper as Jesus offers His legacy to His disciples before His passion, this passage recounts His example of intimate, tender care for them. In this Gospel, Jesus has already spoken of the depth of His love for them – calling them friends and speaking of laying down His life for them. Later, He will pray fervently to the Father for these disciples (chap. 17) and reveal once again the tenderness of His care for them. In this scene, He gives them “example” of humble, selfless service. 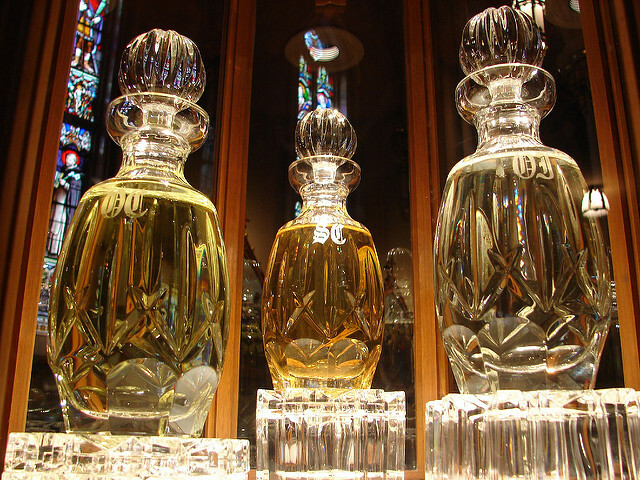 It is an example of the same love poured out in His Passion and offered in the Eucharist. In fact, there is a seamless unity between these moments – they all form part of Jesus’ self-offering to the Father by which He draws His disciples into that intimate communion between the Lord Jesus and the Father. The Eucharist is indeed the “source and summit.” It is the source of Christian life in so far as it draws us into communion with the Christ. His self-offering becomes our redemptive offering. His perfect communion with the Father is opened to His disciples of long ago and of this very moment. It is the summit of Christian life in so far as it reveals that we are invited into a relationship of selfless service and love. There is not more important reality for us in this feast than to recognize and enter into the mystery and grace of the Eucharist. To lose it is to lose the Christ. To know it is to know all things and He Who loves and saves us.